Orascom Telecom Media and Technology Holding S.A.E. Naguib Onsi Sawiris (or Sawires, Arabic: نجيب انسي ساويرس‎‎, IPA: [næˈɡiːb ˈʔonsi sæˈwiːɾɪs] or [sæˈwiːɾes]; born 17 June 1954) is an Egyptian billionaire businessman. Sawiris is Chairman of Weather Investments’s parent company and Chairman of Orascom Telecom Media and Technology Holding S.A.E. Naguib Sawiris is the eldest of three brothers. His brothers are Nassef Sawiris and Samih Sawiris. He is the son of Onsi Sawiris who established the Orascom Group. Sawiris holds a diploma of Mechanical Engineering with a Masters in Technical Administration from the Swiss Federal Institute of Technology Zurich (ETH Zürich) and a Diploma from the German Evangelical School, Cairo, Egypt. Since joining Orascom, the family business in 1979, Sawiris has contributed to the growth and diversification of the company into what it is today – one of Egypt’s largest and most diversified conglomerates and the country’s largest private sector employer. Sawiris established and built the railway, information technology, and telecommunications sectors of Orascom. The success of these ventures as well as the other sectors of the company led to the management’s decision to split Orascom into separate operating companies in the late 90s: Orascom Telecom Holding (OTH), Orascom Construction Industries (OCI), Orascom Hotels & Development and Orascom Technology Systems (OTS). As the founder of OTH, Sawiris has led the growth of the company, culminating in the merger deal between Wind Telecom, the parent company of Orascom Telecom Holding and VimpelCom Ltd. in April 2011. At the time, the merger created the world’s sixth largest mobile telecommunications provider by number of subscribers with operations in 20 countries serving 181 million customers. As part of the merger deal, Sawiris spun off Orascom Telecom’s non-gsm operations and Egyptian-based telecom assets into Orascom Telecom Media and Technology Holding of which he is Chairman. Sawiris led the acquisition of La Mancha Resources Inc through a tender offer launched by Weather Investments II. La Mancha Resources Inc. is an international gold producer based in Canada with operations, development projects and exploration activities in Africa, Australia and Argentina. In August 2012, Sawiris was appointed Chairman. A member of the Supreme Council of Sciences and Technology among a galaxy of scientists including Nobel laureate Dr. Ahmed Zewail, Dr. Farouk El-Baz, and Dr. Magdi Yacoub. In the wake of the Egyptian Revolution of 2011, Sawiris, was the founder of the Free Egyptians Party (Al Masreyeen Al Ahrrar). In September 2015, he offered to buy an island off Greece or Italy to help hundreds of thousands of refugees fleeing the Syrian conflict. However, he conceded the plan could face challenges in terms of jurisdictions and customs regulation. 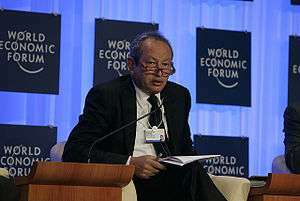 Sawiris is the recipient of numerous honorary degrees, industry awards and civic honors, including the “Legion d’Honneur“ (the highest award given by the French Republic for outstanding services rendered to France). In July 2011 Sawiris was awarded the Honor of Commander of the Order of the “Stella della solidarietà italiana” (Star of Italian Solidarity) for his outstanding contribution to the Italian economy through his investments in Italy. In 2006, the prestigious “Sitara-e-Quaid-e-Azam” award was conferred upon him by General Pervez Musharraf for services rendered to the people of Pakistan in the field of telecommunication, investments and social sector work. Sawiris is married, with four children and lives in Cairo. He speaks Arabic, English, German and French. In 2015 Naguib Sawiris was listed in Forbes magazine as the 577th richest person in the world, with a personal wealth of $3.1 billion. Sawiris is an Egyptian Christian, following the teachings of the Coptic Orthodox Church. ↑ "Egypt billionare offers to buy island for refugees, wants to name it 'Independence' | Latest News & Updates at Daily News & Analysis". Retrieved 2015-09-04. ↑ "The World's Billionaires", Forbes. 25th January 2015.